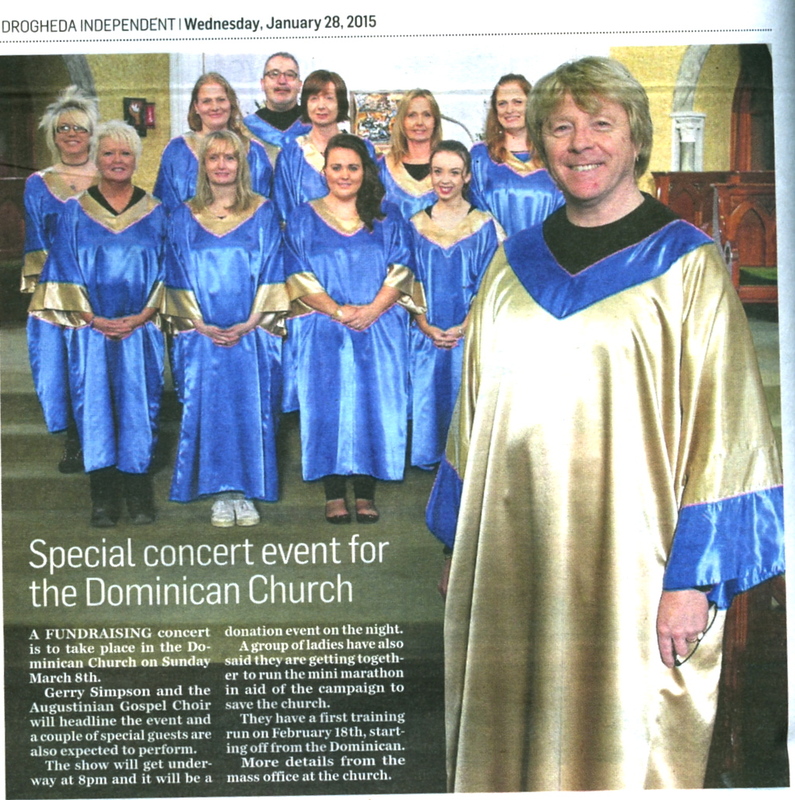 Delighted to announce that the Augustinian Gospel Choir will perform a special concert in the Dominican Church, March 8th 2015! This is a fundraising event in aid of the Dominican Church, admission is free and a brilliant night of gospel choir music and solo singers and musicians is promised. More information about saving the Drogheda’s beautiful Dominican church can be found at: Fight now begins to save Dominicans after 790 years – Independent.ie. Watch the complete story, including interviews, footage of the Rally and the controversial debate that followed it.